Because it is factory direct supplier, the price is cheap? Our quality ahead of the industry. 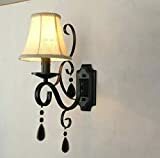 Because of the distance, we do not contain bulbs, should contain light bulbs, that is, we give you the test to use, bulbs should be damaged, no longer replacement.